The Monastery Murders are contemporary clerical mysteries with clues hidden in medieval history. A Newly Crimsoned Reliquary is the newest release. A Very Private Grave, A Darkly Hidden Truth and An Unholy Communion are the other titles in the series. The Elizabeth & Richard Mysteries is a literary suspense series using literary figures as background: A Jane Austen Encounter is the newest title in this series. Others in the series are: Dorothy L Sayers in The Shadow of Reality and Shakespeare in A Midsummer Eve's Nightmare. The Daughters of Courage, Kathryn, Elizabeth and Stephanie is a pioneer family saga based on the stories of Donna's own family and other Idaho pioneers in the Kuna, Nampa and Boise area. "Donna Fletcher Crow has created her own niche within the genre of clerical mysteries." "Donna Fletcher Crow gives us, in three extremely persuasive dimensions, the world that Dan Brown merely sketches." "In A Darkly Hidden Truth, Author Crow brings back protagonists Felicity and Anthony first introduced in A Very Private Grave. The protagonists are a couple of the most interesting characters to come along in the mystery genre for some time. Felicity, an American who came to England to teach, finds she is disillusioned with the classroom, but rather than returning home to Idaho, she decides to follow one of her passions and enrolls in the theological college run by the Community of the Transfiguration. Anthony, actually Father Anthony, is in residence at the same community well on his way to becoming a priest in The Church of England. As Book Two of the Monastery Murders opens, Felicity is arranging retreats at several other religious communities while she ponders her future in the church. When a valuable icon goes missing, and the crime resembles another in a different monastery, Father Anthony is asked to investigate. Since he and Felicity solved the murder of Father Dominic in the first book, Father Anthony wants Felicity's help again. Although initially, Felicity does not want to change her plans, eventually she is drawn into the case. Complicating Felicity's life even more, her mother arrives from America with very little notice and a great deal of distressing news to share. The author clearly knows a great deal about Church history as well as the liturgies. This knowledge shines through the plot without leaving the reader feeling "schooled" in the subject. A Darkly Hidden Truth takes place during Holy Week and because the author gives such vivid descriptions of the church's décor, ceremonies, processions and atmosphere, readers really get a sense of presence with Felicity as she attends the various services. Also, because the setting of the book is mostly in various monasteries, it is quite natural that the author has included a great deal of history of The Church of England through the history of the monasteries and the various icons. Even when the characters travel to London, the pursuit of church history is at play. It is refreshing to have a pair of protagonists who are so devoted to their faith. There are several well written mystery series set against the backdrop of a church community that are not really Christian Fiction, while much of the genre of Christian Fiction features protagonists who are leading ordinary lives with prayers or religious moments interjected throughout the books. Seldom do you find a series where a balance has been struck between the two sides. The Monastery Murders series takes place in and around monasteries. The two protagonists are connected in their own ways to The Church of England. Both are deeply religious people-but the reader gets this faith connection not because the characters stop what they are doing to pray over each decision and not because God is brought up on each page. Rather, readers get a sense of their faith through their actions. Reading about Felicity's emotions during the feet washing on Holy Thursday for example, was like experiencing that strong religious connection with her. I would categorize these books as traditional mysteries with strong religious themes. While this reviewer has not read the earlier book, I had no problem dropping in on Felicity and Father Anthony for this case. I enjoyed this book so much that I have already ordered the previous book." "A gripping modern mystery enriched by liturgy, iconography, and medieval history." 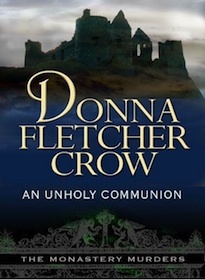 "In A Darkly Hidden Truth, Donna Fletcher Crow creates a world in which the events of past centuries echo down present-day hallways - a world in which saintliness and devotion compete with the noise of traffic, a world in which a thoroughly 21st-century young woman can be drawn to the timeless and luminous peace of the convent - and then, on the surface of this world, she engraves murder, violence, and theft. I came away from the book feeling as though I'd been someplace both ancient and new, and had learned a great deal there. Donna Fletcher Crow gives us, in three extremely persuasive dimensions, the world that Dan Brown merely sketches." "Donna Fletcher Crow's Monastery Murders series gets better and better. In a book notable for its meticulous research, Felicity is at a crossroads in her life. She has a vocation to the religious life, but where does that leave Antony, who has come to love the young, engaging American? Matters are further complicated when Felicity's mother, Cynthia, fresh from the break-up of her marriage to Felicity's much-loved father, arrives in England, attempting to forge new bonds with the daughter she never really knew. "Matters come to a head when a valuable icon is stolen and a student murdered. "A sound grasp of Christian history informs this contemporary thriller as Felicity. Anthony and Cynthia are plunged headlong into the dangerous hunt for the stolen icon." 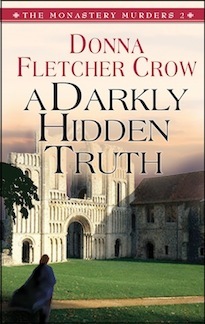 "Donna Fletcher Crow's novel, A DARKLY HIDDEN TRUTH, is a character-rich contemporary mystery based on English Church History that made me want to turn every page, and spend a year in England." "Readers who enjoyed A Very Private Grave, the first in Donna Fletcher Crow's Monastery Murders, will be delighted with the second in the series. A Darkly Hidden Truth finds Felicity Howard tangled again in a mystery with roots in ancient church history, in this case all the way back to the founding of the Knights Hospitaller in 1061. With this book, Crow establishes herself as the leading practitioner of modern mystery entwined with historical fiction. The historical sections are much superior to The Da Vinci Code because she doesn't merely recite the facts; she makes the events come alive by telling them through the eyes of participants. The contemporary story is skillfully character-driven, suspended between the deliberate and reflective life of religious orders in the U.K. and Felicity's "Damn the torpedoes, full steam ahead" American impetuousness. The American part comes naturally to Ms. Crow who grew up in Idaho and participated in rodeos. But only meticulous research can account for her mastery of British church history. Her descriptions of the English characters read like an updated and edgy version of Barbara Pym. A Darkly Hidden Truth weaves ancient puzzles and modern murder with a savvy but sometimes unwary protagonist into a seamless story. You won't need a bookmark - you'll read it in a single sitting despite other plans." "The intrepid Felicity and lovable Antony have their noses to the trail of more dark and sinister goings-on. As they investigate, a tale wonderfully rich in history and spirituality unfolds." "A Darkly Hidden Truth Explores Passions"
"A Darkly Hidden Truth, the second of Donna Fletcher Crow's "Monastery Murders" series, follows the progress of young headstrong Felicity, our heroine. An American student in Britain, she has decided she wants to become (right now!) a nun - never considering the consequences of this whim: for herself or for those who love her. "This is a book exploring passions: for life, for art, for family, for mammon, for tradition, for the sacramental and for the imperfectly human, set in the present and the past, in a place where these realms intermix and meld. It's a tale of Icons, of the Knights Hospitalier (Templars), of kings, villains and saints, of ancient and contemporary plots and schemes, woven into an easily accessible tapestry where history is fascinating and relevant, featuring a likable flawed heroine and the empathetic man (Father Anthony) who is falling in love with her. "Buy it for the setting and the history; it will take you on a pilgrimage to places you never knew you wanted to go, and make you want to visit them "for real." The delightful map, the Anglican glossary and the time line at the beginning of the book are welcome. They make the "journey" come alive and should be especially useful for those unfamiliar with the Anglican (Episcopal, in the US) Church, its customs and regalia. "But buy it for the story. For the well-drawn characters who evolve as the plot unfurls. This is a gentle tale, despite the murders. Charmingly chaste. On the surface, at least. What lies below that layer, I'm not about to tell." "With a bludgeoned body in Chapter 1, and a pair of intrepid amateur sleuths, A Very Private Grave qualifies as a traditional mystery. But this is no mere formulaic whodunit: it is a Knickerbocker Glory of a thriller. At its centre is a sweeping, page-turning quest - in the steps of St Cuthbert - through the atmospherically-depicted North of England, served up with dollops of Church history and lashings of romance. 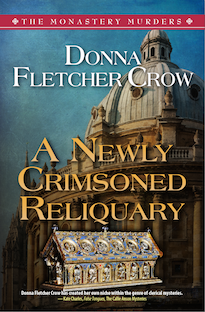 In this novel, Donna Fletcher Crow has created her own niche within the genre of clerical mysteries." "A compelling thriller, as well as a masterful mystery, the mental gymnastics will have you breathlessly soaking in British and church history as you puzzle through a satisfying spiritual adventure with romantic, quirky characters. Anglophiles and history buffs will love it." "If I could give this book 6 stars ****** I would. I just couldn't put it down, it was fast paced, I learned lots of church and English history, and I liked the characters. I can't wait for the next Monastery Murder to be published." "History and mystery and murders most foul keep the pages turning in A Very Private Grave. Two scholars, Felicity and Antony, embark on an unusual spiritual pilgrimage, following the journey of Saint Cuthbert from Lindisfarne to Whithorn, even as they're pursued by friends and foes, who don't reveal their true colors to the very end. Seldom does one find a whodunit with such a thorough grasp of ecclesiastical history. A fascinating read." "I always admired [Donna's] work and her fastidious attempt that dogs us all to practice our art with creative defiance." 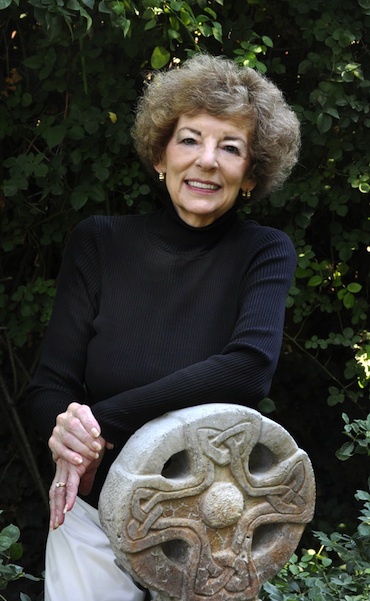 "As in Glastonbury, Donna Fletcher Crow's descriptions of the English and Scottish settings in her new mystery, A Very Private Grave, are drawn with real artistry. Lovers of British history and church history will be impressed by her grasp of both. Still, it's a grisly murder in a monastery that brings the conflicts faced by men and women in the church today into thoughtful focus as the two major characters, Felicity and Father Antony, struggle to find direction in their own lives." 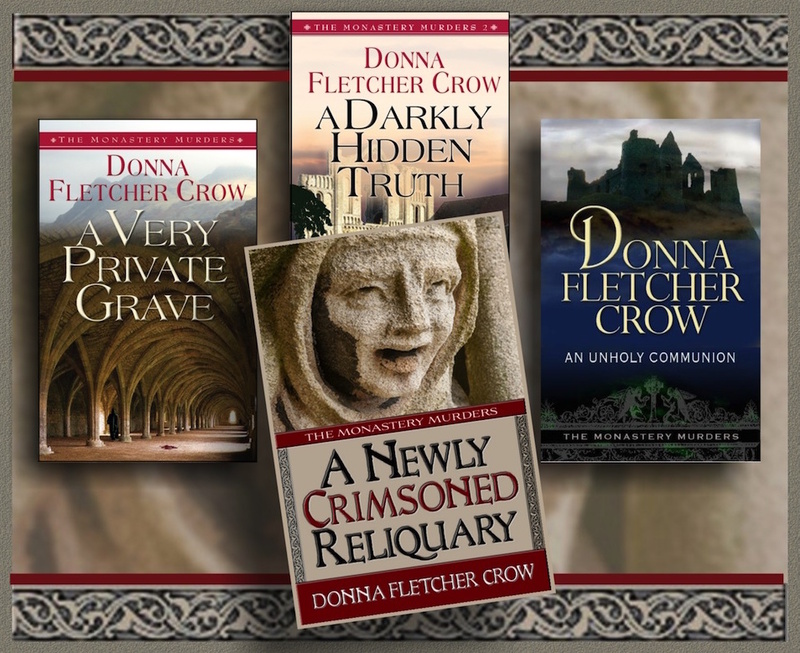 "Donna Crow's A Very Private Grave is full of past and present, faith and frailty, murder and mystery. Highly recommended." 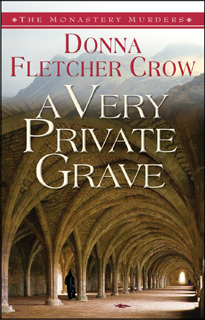 "A Very Private Grave by Donna Fletcher Crow is not to be missed. I loved getting to know Felicity and Fr. Antony as they journeyed through remote places and islands in England and Scotland in pursuit of clues. The author skillfully weaves past and present with a cast of wonderful and sometimes quirky characters." "Like a P. D. James novel A Very Private Grave occupies a learned territory. Also a beautifully described corner of England, that of the Northumbrian coast where St. Cuthbert's Christianity retains its powerful presence. Where myth and holiness, wild nature and tourism, art and prayer run in parallel, and capture the imagination still. "A pair of elderly religious are murdered, but why? An American student and her young history teacher are determined to find out. Donna Fletcher Crow sets them in pursuit of St. Cuthbert's bones and treasure. Also his faith. She knows her theology like the lines on her palms, the fortunate and the unlucky leads, the truths and the errors, taking us to them by the local train and bus services, the hospices and by foot. All this with a cinematic skill. "Did Henry VII manage to get all the treasure from Cuthbert's shrine at Durham? Might what remains of it not be sent to the African Children's Fund? Old Brother Dominic and Sister Elspeth thought so. But they are murdered. A thrilling amateur investigation follows in which the northern landscape and modern liturgical goings on play a large part. The centuries between us and the world of Lindisfarne and Whitby collapse and we are in the timeless zone of greed and goodness. A Very Private Grave is an exciting thriller with a fine sermon attached." "A Very Private Grave is a novel that delivers much more than the promised suspense. In passage after passage, it is enriched by the author's detailed knowledge of medieval church history and her intimate knowledge of the English and Scottish countryside, a knowledge that extends to specifics of tiny islands and tides. And it is a pleasure to read an author who not only knows about the Synod of Whitby (A.D. 664), but alsounderstands its significance. The reader of this thriller will emerge pleasantly educated as well as entertained." "In The Shadow of Reality, Donna Fletcher Crow engages the reader with a lively dialogue between the two protagonists, Elizabeth and Richard, as they participate in a murder mystery vacation week at a resort in the Rockies. When reality blurs with fiction, the reader is taken behind the scenes into a darker drama that Elizabeth is drawn into and compelled to solve at her own peril. The characters are well developed and the action flows at a rapid pace that makes it impossible to put the book down. It is a thoroughly satisfying read and an intriguing idea to mix the roles of actor and audience, a complex dance of relationships that keeps the reader wondering what is true and who is real."